You are here: Home > Blog > Flora & Fauna > Global warming and the changing seasons. However, the rise in global temperature has not been quite as great as some calculations / predictions have proposed. The “greening of the planet” (that is an increase in the number of trees and plants growing on the planet) was held to be responsible for this ‘reduction’ in anticipated temperatures. However, a recent report by T Keenan et al * suggests that trees and other vegetation have been absorbing more carbon dioxide and using it in photosynthesis (the process of carbon fixation). Carbon dioxide is absorbed through the stomates - tiny pores on the underside of leaves and using the light energy of the sun, it is combined with water to form sugars. Plants growing in temperate regions generally use the C3 pathway or Calvin Cycle to convert the carbon dioxide into sugars and starches, whereas tropical grasses use a different mechanism - the C4 or Hatch & Slack pathway. Other work has indicated that plants can only take advantage of the increased carbon dioxide levels if they had sufficient nitrogen. The raised level of carbon dioxide has been acting like a ‘fertiliser’, promoting growth through enhanced photosynthesis. A consequence of this increased level of photosynthetic activity is that the level of CO2 in the atmosphere is not as high as calculation has predicted. However, this increased plant productivity has not stopped the five years between 2011 and 2015 being the hottest on record , and it is likely that 2016 will break the record for the warmest year in recent times. The warmer temperatures are linked to extreme weather events, such as the heat waves experienced in India and Pakistan in 2015, the droughts of East Africa and record temperatures in Australia. In the U.K, there have been changes - for example, the growing season has extended. 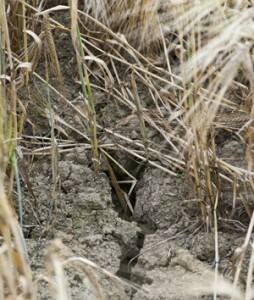 The growing season is the period during which local weather conditions (i.e. rainfall and temperature) permit normal plant growth [roughly speaking, when daily temperatures average 5 o C plus]. Between 2005 and 2015, the growing season averaged 280 days. This is about a month longer than the growing season for the period 1961 - 1990. Whilst an extended growing season means that plants can photosynthesise and absorb (fix) carbon dioxide for a longer period, this change in growing period can affect the synchronisation of flowering and the appearance of pollinating insects. Even the mighty oak - which is wind pollinated, has been affected. 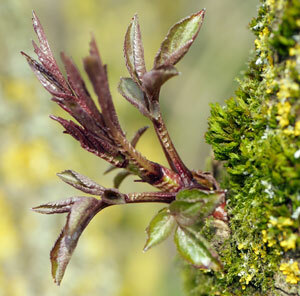 Bud burst in oak is now some 3 weeks earlier (on average) than the 1950's†. 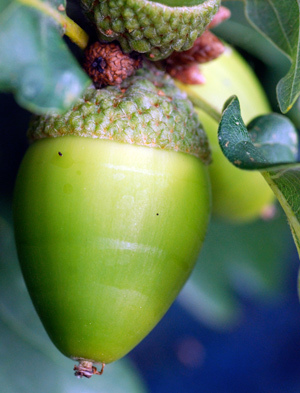 Professor T Sparks (Coventry University) has analysed data collected through Nature's Calendar and has found that warmer years tend to result in smaller acorn crops. In the past, shorter growing seasons meant that oak flowers tended to be produced at the same time and the wind dispersed pollen had a good chance of finding other flowers ripe for pollination. However, with an extended growing season, there is greater variation in the timing of flower production and hence pollen release. Consequently, the opportunities for cross pollination and fertilisation are reduced - as is seed set i.e acorn production. Acorns are a vital part of the food supply of many animals - pigeons, deer, squirrels etc. The WMO (World Meteorological Organisation) has reported that in 2015 the carbon dioxide level in the atmosphere reached the symbolically significant figure of 400 ppm . * (Keenan, T. F. et al. Recent pause in the growth rate of atmospheric CO2 due to enhanced terrestrial carbon uptake. Nat. . 7, 13428 doi: 10.1038/ncomms13428, 2016).